The story of an ordinary snail who finds out he's not so ordinary after all. This sparkling story will give all young children the confidence to believe that they can be clever and special in their own unique way. A perfect first book and a delightful gift from grandparents to grandchildren. When a strange little snail lands in the Rainbow Snail's garden what will happen to him and who will welcome him into their world? 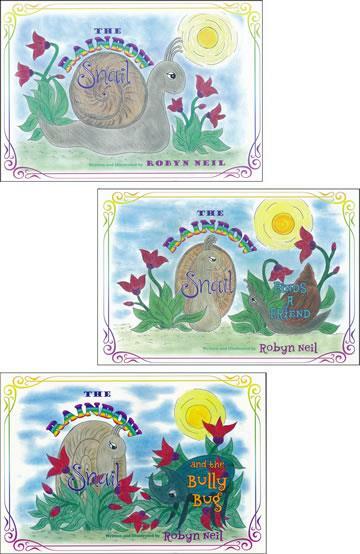 The enchanting sequel to The Rainbow Snail book - a story of friendship and the acceptance of others.